Thank you for the kind comments last week on my GIU posts. It sure was a fun week. Congratulations! Helen and Dawn, please email or private message me on Facebook your mailing information. You have two weeks to claim your prize. Thanks goes to Unity also for the awesome sharing opportunity and generosity. This is Day 5 and the final day of my Growing in Unity week for Unity Stamp Co. 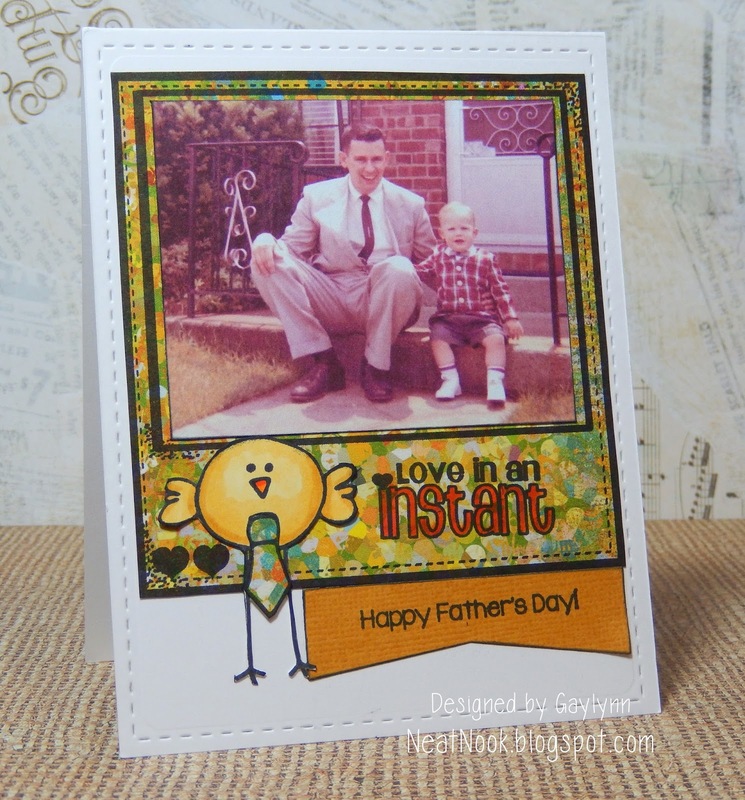 Here is a Father's Day card made scrapbook style and ready to add to a scrapbook page. This is for my husband's dad. His dad is the one who has documented his own family in photos and scrapbooks. I know this turn back time memory will be appreciated. Sentiment: Love in an instant. Happy Father's Day! This Polaroid frame was stamped onto patterned paper and trimmed. The bird was paper pieced. I added a copy of the original vintage photo and a Father's Day tag. Supplies: Unity stamps from Father Peep Itty Bitty, and the frame is in two sets Love in an Instant KOM and Insta-Live, Love, Dream; Copic markers, Simon Says Stamp intense black ink for alcohol markers, dies by Lil' Inker Designs and MFT. It was a fun week. Thank you for the visiting and commenting along the way. For Day 4 of my GIU week, I have more flowers. 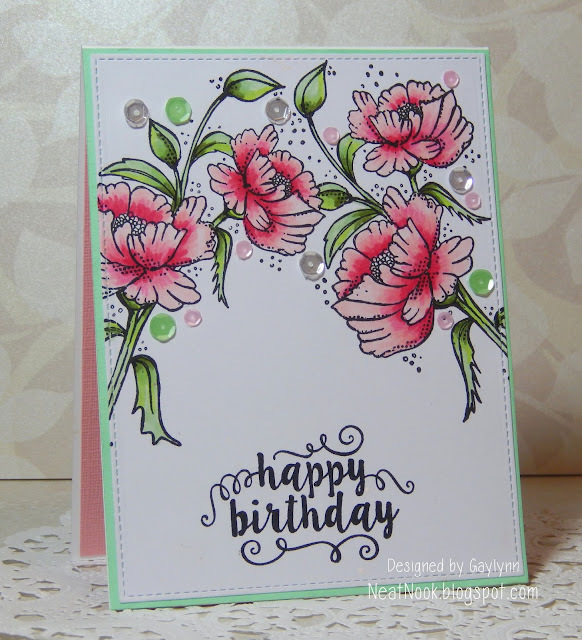 Spring is on my mind and these pretty flowers were calling my name for a girly birthday card. I wanted a cluster of flowers at the top of my card, so I masked the first stamped floral image and then re-stamped. The coloring is with Copic markers on Copic paper. For accents, I added sequins along with pink and mint cardstock panels. Supplies: Unity stamps from Remembering You Blooms and So Glad You Were Born sets; Copic markers and paper, Simon Says Stamp Intense Black ink for alcohol markers, Pretty Pink Posh sequins and Misti. Day 1, Day 2, Day 3, Day 4 and Day 5. Today, I am sharing my project for Day 3 of my Growing In Unity week. Today's GIU post is also featured on the Unity blog this week. A little about me... My name is Gaylynn and I am from Florida. I enjoy all kinds of paper crafting. I found Unity Stamp Company a few years ago through a fellow cropping friend and have been hooked ever since. 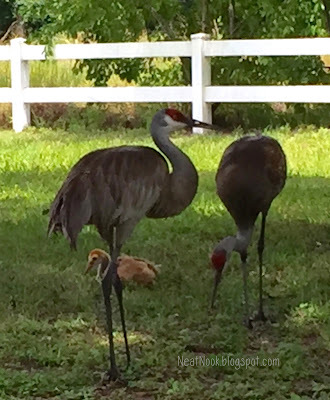 I adore the versatile images, their quality and the friendly sharing which Unity offers. I am excited to be showcasing my Unity creations Monday through Friday this week on my blog. 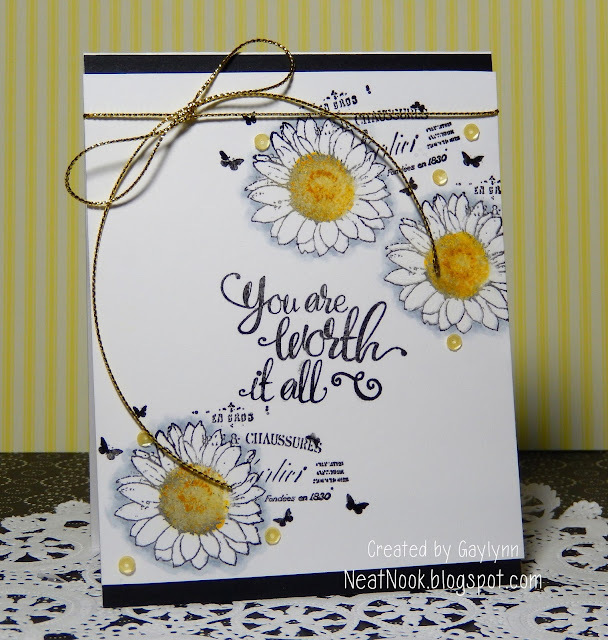 Sentiment: You are worth it all. This was stamped with ColorBox gold, yellow and black ink and then heat embossed with clear embossing powder. I added more yellow accents with a distress marker. The daisy flowers and sentiment were done with a masking technique to get the look I wanted. I just cut paper to fit over the stamped sections to preserve from overlapping during stamping. Using repositional adhesive makes this step easier. To make the flowers pop, I used Copic markers to outline the edges in grey tones. Here are photos of the steps along the way. Supplies: Unity Worth It All Sentiment Kit, ColorBox ink, clear embossing powder, Copic markers, distress marker, Misti, gold twine and PPP sequins. Be sure to comment on each of my GIU posts this week for a chance to win a Unity prize. I will announce two random winners Tuesday 5-31-16 here on my blog. (Unity is closed Monday for winner confirmation.). This is Day 2 of my Growing In Unity week featuring Unity stamps. Here is my bible journal page honoring my niece and her baby angel for what would have been his second birthday. It is hard for me to write about this, so I will stick to how I decorated the page. This beautiful image was stamped in light gray ink. I colored her with colored pencils and pens. I sketched and doodled the flag and added the psalm panel. This My Creative Bible was a gift from my wonderful husband and I love it. This particular one has space on all pages to write, stamp or draw. There are also images included for coloring, similar to adult coloring books. 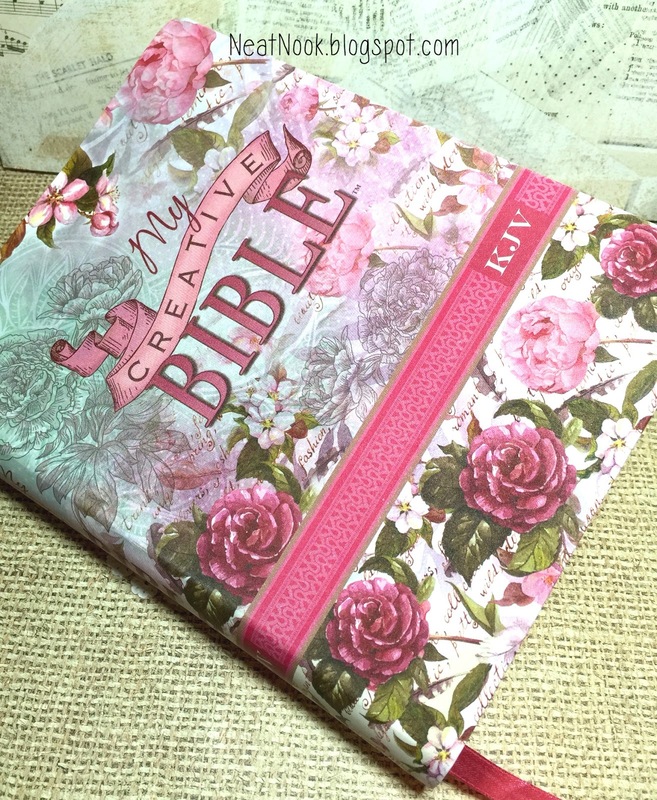 He got it at a Christian bookstore but it is also on Amazon and other stores in various styles. 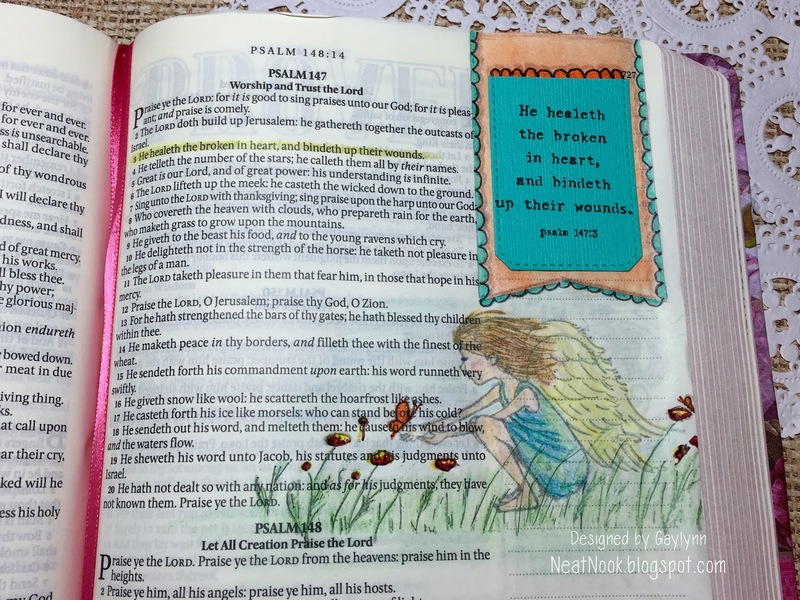 Supplies: Unity stamps Too Beautiful for Earth by Phyllis Harris, colored pencils, Staedtler triplus fineliner pens and pigment liners, Ranger distress ink pad, ruler and My Creative Bible. I am so excited to be sharing my creations using Unity stamps as their Growing In Unity Girl this week. Paper crafting and card making are things I post most often here. This week I hope to share even more ways that I incorporate these amazing red rubber stamps into my projects. 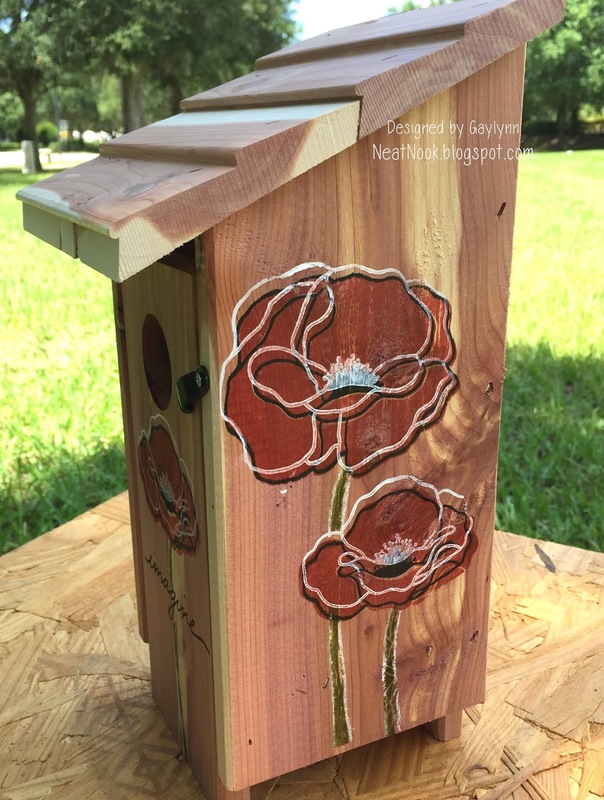 Today, I am sharing my stamped cedar wood bird house. I wanted a natural wooden background for the flowers. 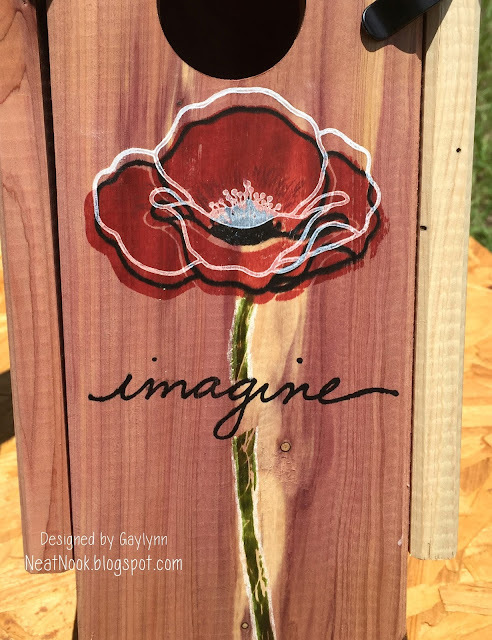 I masked the flowers and the imagine word for the look I was going for. For outdoor placement, stamp with paint instead of ink, drying between layers, then seal. This was my inspiration "New Beginnings". Photo taken from my yard this Spring. 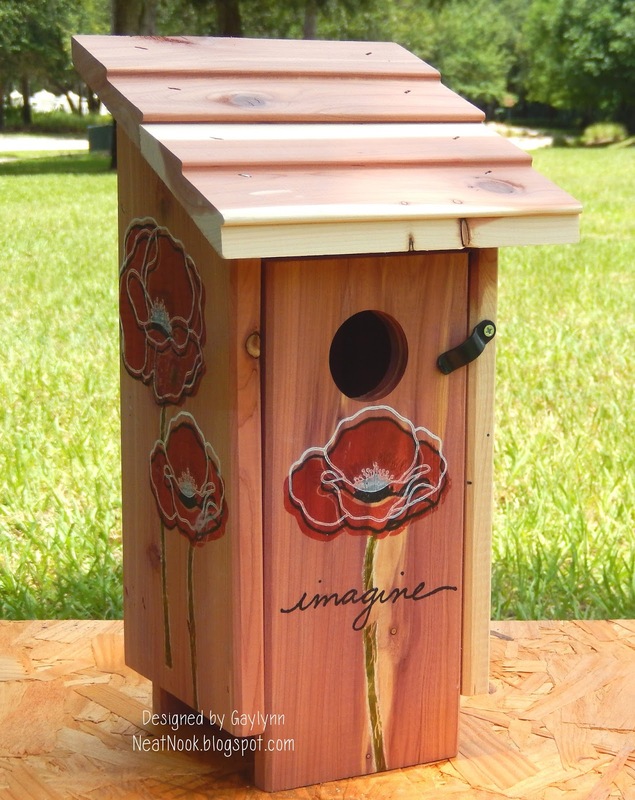 Supplies: Unity stamps by Donna Downey Inspire Words, Donna Poppies and You Are Important; StazOn black ink, Ranger archival ink, colored pencils, Stamp-a-ma-jig, sealant and cedar birdhouse.